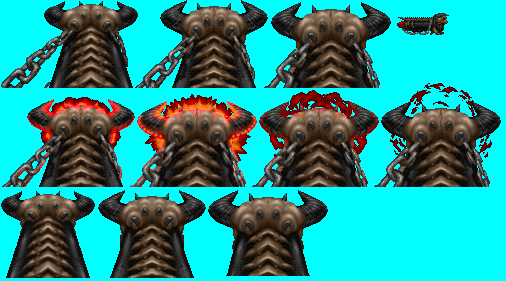 Since There has been much work in the the Hexen and heretic areas in terms of monsters, I've decided to put up some crap for people that might wanna use in their future Hexen and Heretic mods. I'll be adding more stuff here If you have custom stuff (weapons only) you've made, feel free to post them here as well. I'll copy and paste all links onto the first page, and all your resources will be listed under your name for easy browsing. Last edited by Amuscaria on Wed Aug 05, 2015 8:29 pm, edited 27 times in total. BTW is anyone actually making use of any of these new Heretic/Hexen resources? That looks overwhelming. But IMO, it should have another firing frame in between, because it gets all shiny all of a sudden and looks not so nice on that staff. CaptainToenail wrote: BTW is anyone actually making use of any of these new Heretic/Hexen resources? 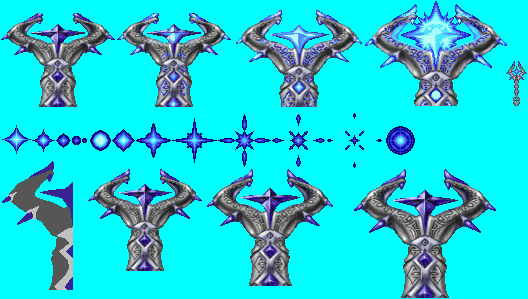 Anywho, if I can get/make some kind of HUD sprites, I'll throw in some frost shards-esque spell. That Ruby Wand, also, would go great in a mod with the Hexen 2 Iron Golem. I have few weapons in my resource thread, feel free to add them here. Looks pretty cool. Was it made from scratch? I guess it was. I'm suing some of the stuff here, too. Everything so far except the Corvus staff - unless I get my promised 'ranger' class in-game. Some of them are forum attachments, rest should be ok.
A modified 'Demon Splitter' blood sword that Eriance made - except with the WARRIOR holding the hilt, would save me time in making it myself so I can get Necrosis released. CodenniumRed wrote: I'm suing some of the stuff here, too. Heretic and Hexen uses the same palette? Imp Hunter wrote: Heretic and Hexen uses the same palette? No, they dont. But many of their colors are very similar. 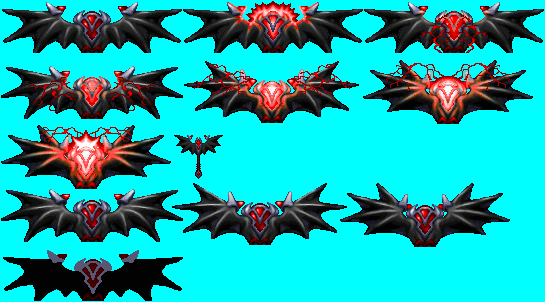 EDIT: Added the "Frost Fang", the Dragon-Claw replacement for "Blasphemer" (Free-Heretic). Still working on the puffs. Design is by Stilgar(?). The Frostfang looks great! Thanks!